What is the body of Christ? It is the church UNIVERSAL. It is the collective grouping of ALL BELIEVERS worldwide. While it is true that in the local body, we are all vital parts, each one of us is very much a part of the universal body of Christ of which He is the head, and no other. While we have shepherds whom He has charged with caring for the different local parts of His body, it is evidenced in Scripture that believers absolutely did move from one local body to another as they were needed. They did not move because they were upset or angry about one place (at least, that is not recorded), but because they were truly moved by the Spirit of God to invest in a certain body for a season of their lives as needed. What if they had insisted on staying together? Would Mark have ever completely recovered from his previous fall? Or would Paul, because of his very direct nature, have kept him in a somewhat subservient role of never being quite “good enough” because of his previous faults? Distance and time were needed for Mark to recover and for Paul to get over his frustration. The Spirit led them on two different paths, which eventually came back together, because they were part of ONE BODY. Understanding this, what then should be our reaction when a brother or sister leaves the local body to become part of another? It is my humble opinion that we should trust that as a believer, they have sought God, and that He has led them to make that decision. We should be very careful about casting judgement on our fellow believers and understand that the Spirit uses many different scenarios and situations to get His people where He wants them, including disagreements, as clearly evidenced in the aforementioned story. So if you are a part of a local body, and that is where you stay for life, and your children are born there, and your grandchildren, and so forth, then that is wonderful, and beautiful, and a testimony to the love and fellowship that is there in Christ. But when another believer does not make that same choice, instead of being offended we should rather be encouraged that they are choosing to remain a part of a local body, in fellowship with other believers, and being encouraged by the Word. Any offenses should be forgiven, and ALL attempts should be made to remain at peace, not only within the one local body but with other local bodies as well. None of us are allowed to have an “us and them” mentality, but are required by God to be “DILIGENT to preserve the unity of the Spirit in the bond of peace,” (Ephesians 4:3) and recognizing that even as various local bodies, we each have a place and function in the universal body of Christ that is different from the others. 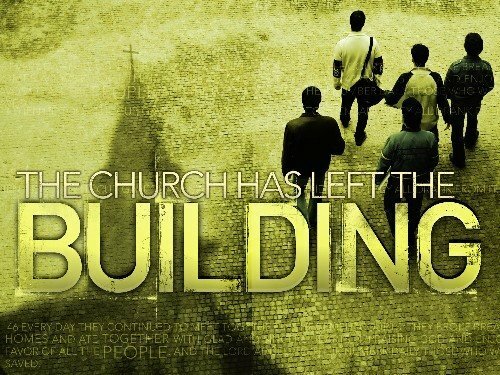 Rather than being at odds with one another over church members and methods, we should move as one body in spreading the message of Christ, however Christ the head sees fit to move us.